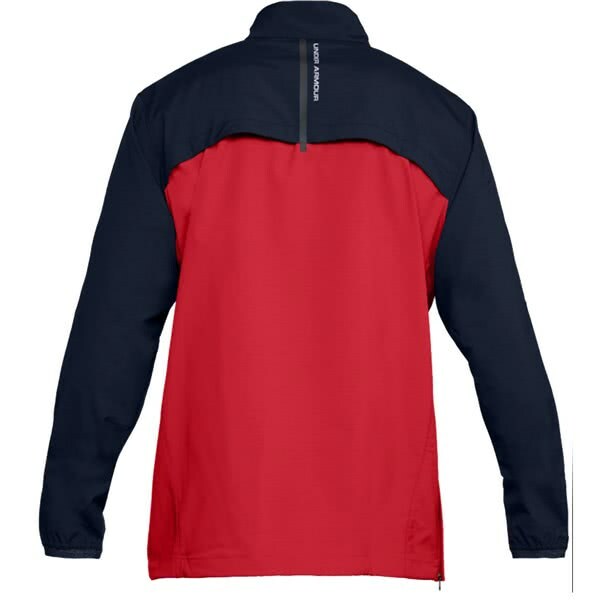 Nice vest in windy conditions. 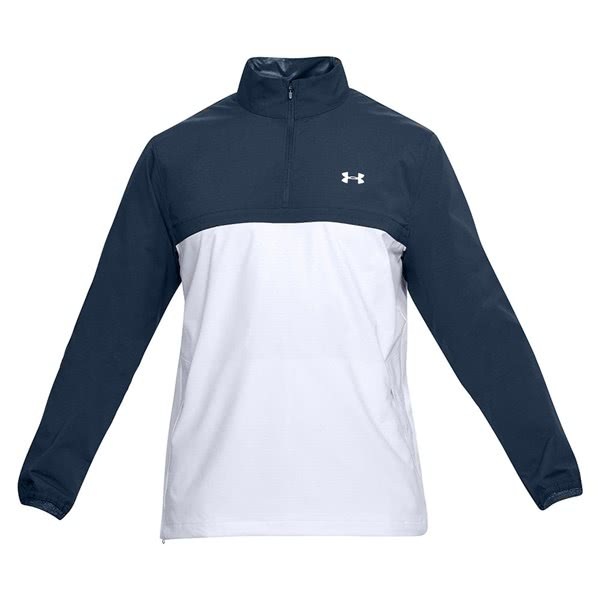 It does the job, but the style is a bit off (a bit ample). 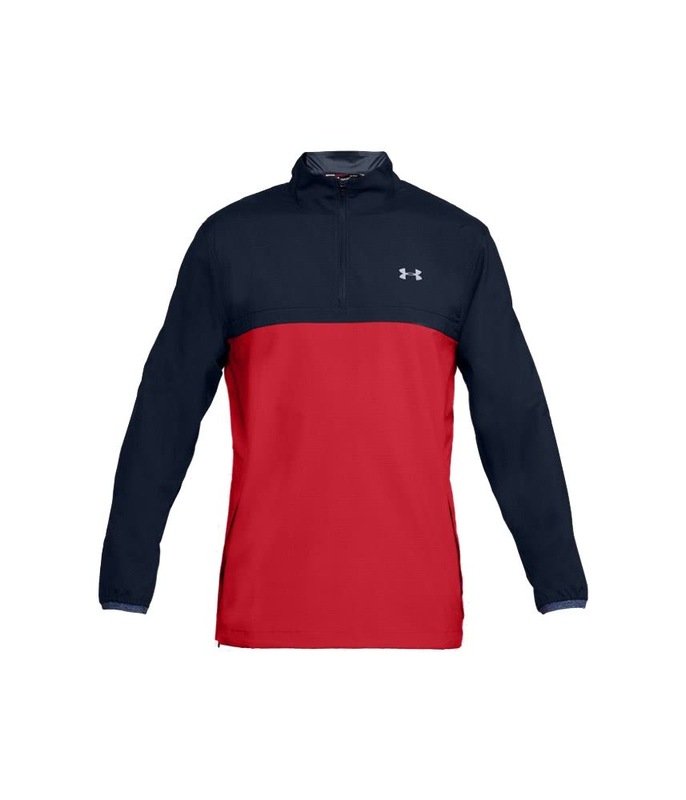 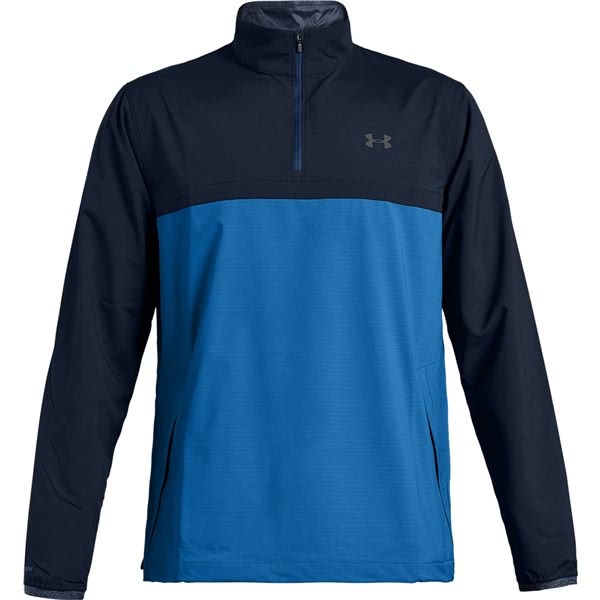 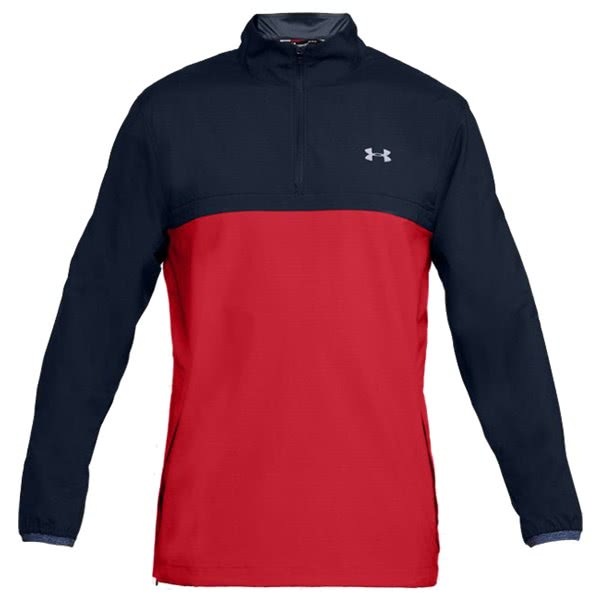 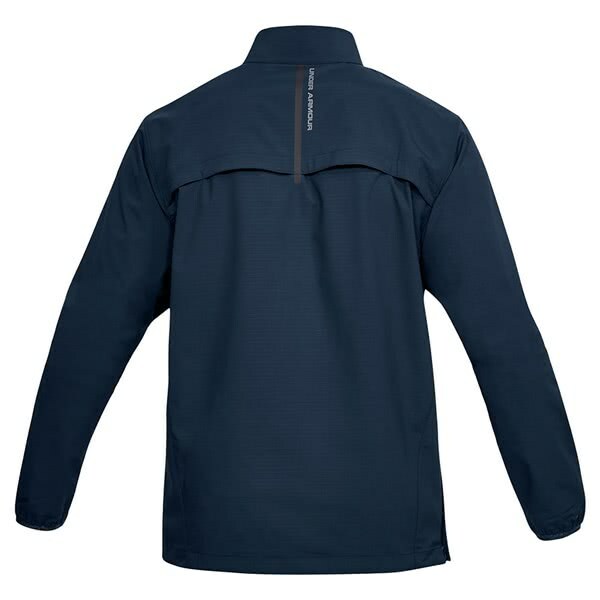 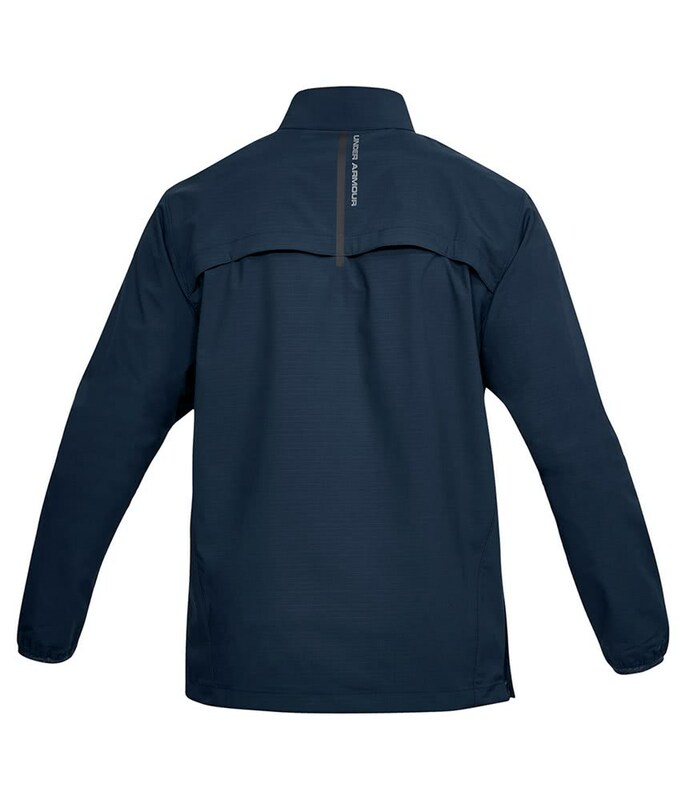 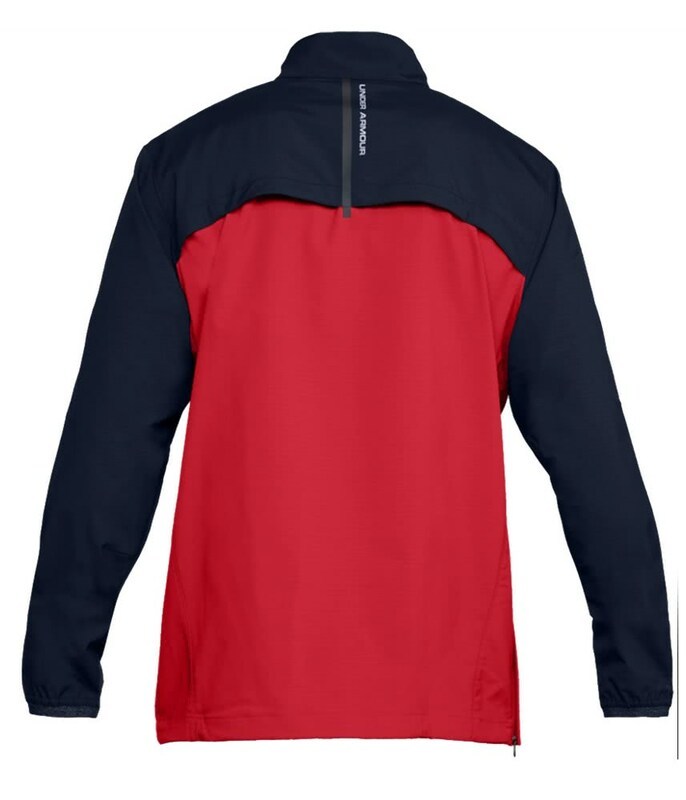 The Under Armour Mens Storm Windstrike Half Zip Top has been created to provide you with restrict-free movement while also protecting you from the elements. 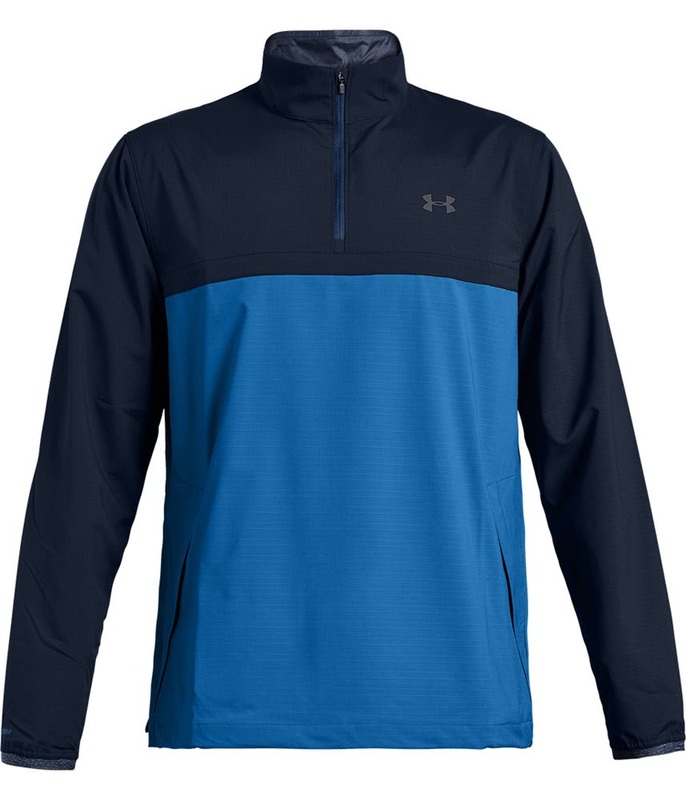 A loose, fuller cut has been used to provide the ultimate comfort whilst the UA Storm and windproof construction will repel water and wind without sacrificing breathable performance. 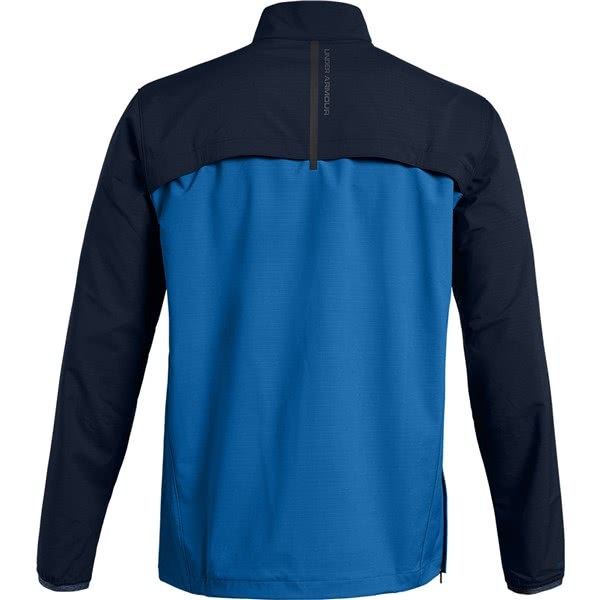 Chest and back vents have been incorporated into the athletic, stylish design to further increase ventilation and breathability. 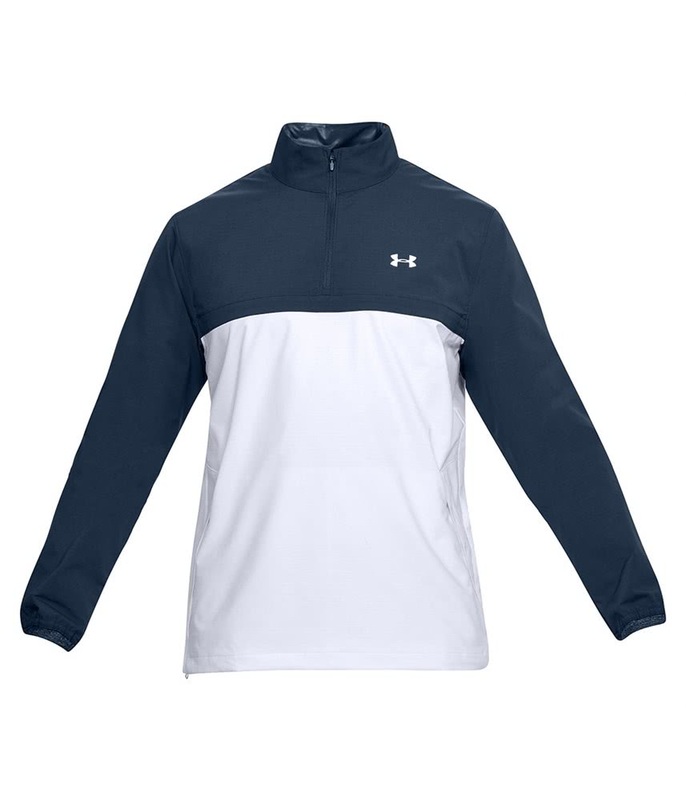 The fabric features a 4-way stretch construction that will allow you to move more comfortably in all directions. 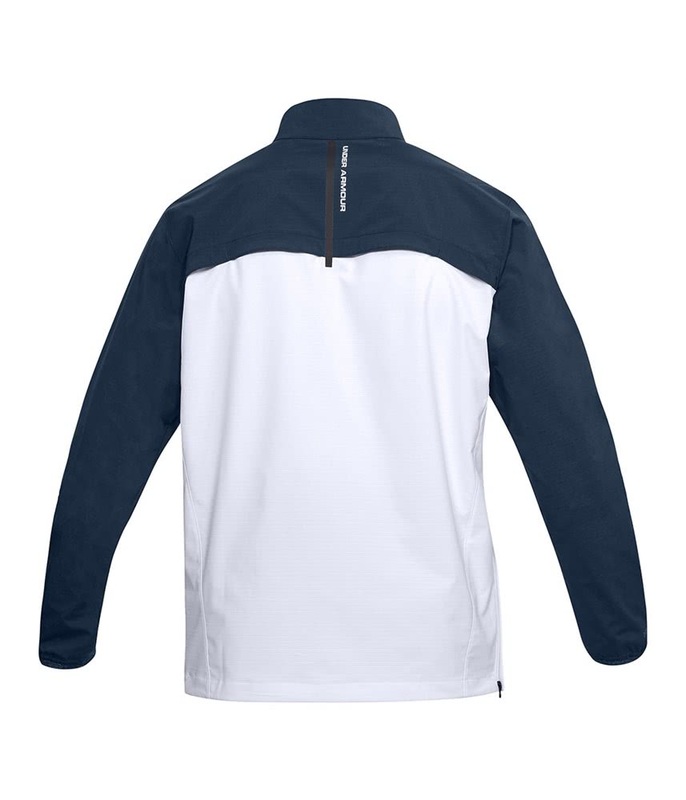 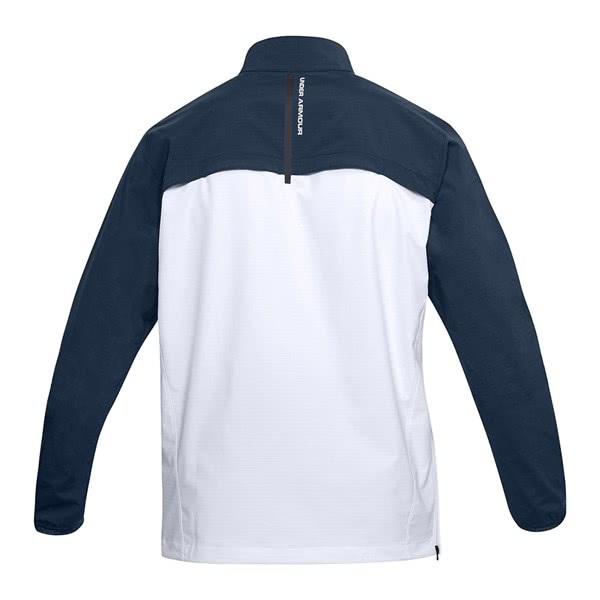 Side zip pockets have been used to store smaller golf or non-golf accessories. 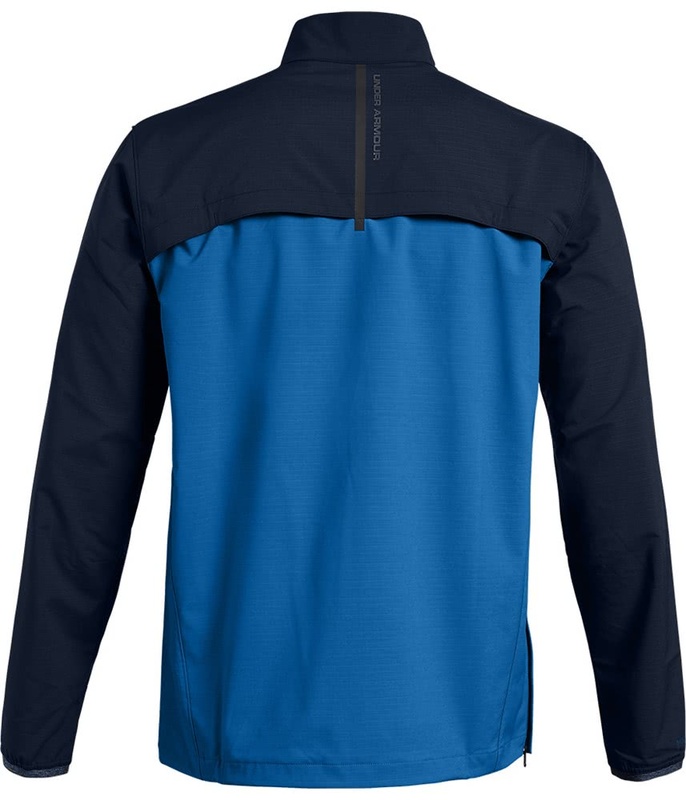 Inside the pocket there is also an internal phone pocket.